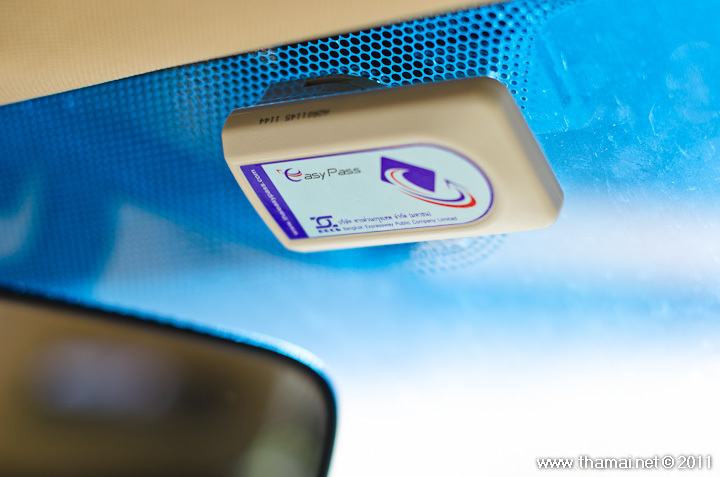 1,000 Baht Deposit for the Card and the sensor. 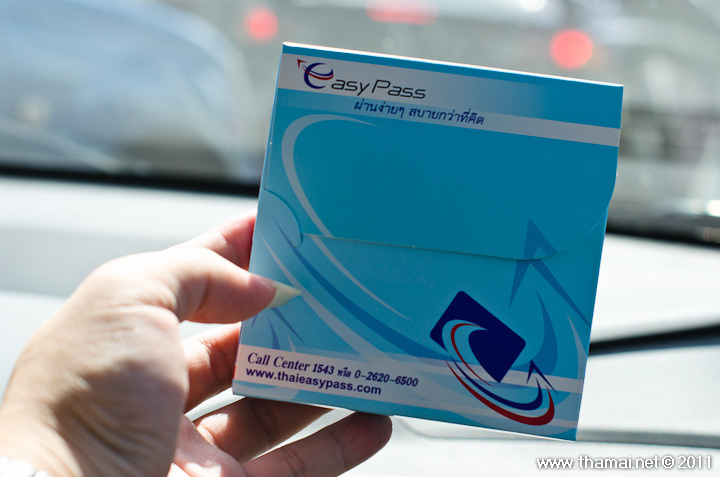 500 Baht minimum credit rate, and free 25 Baht per 500 Baht credit refill. Ding Daeng Toll Gate, Rama II High Way , Entrance of Ploenchit (next to Sukhumvit Soi 1). Make sure to use outer left booth to pay your toll, if not you might not enough time to stick to the office. One-stop service center (One Stop Service). Center of Bangkok Expressway Public Company Limited (PCL). Krung Thai Bank (Bank) ATM ATM, KTB online and. KTBonline @ Mobile. Thai Commercial Bank Limited (Bank) ATM ATM, SCB Easy Net and SCB Mobile Banking. 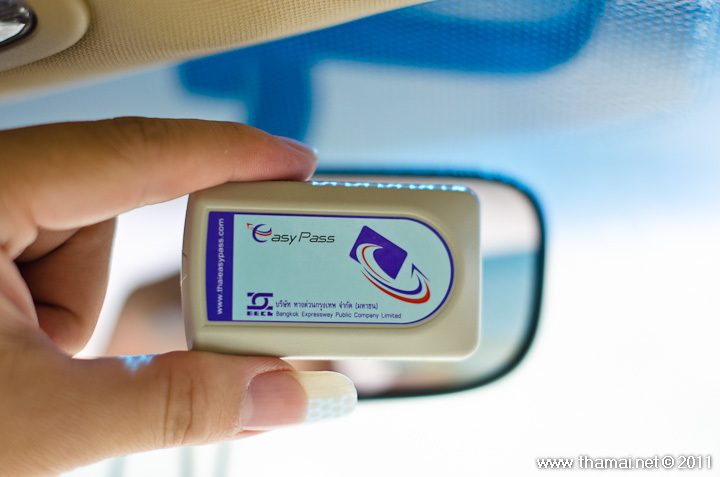 You need the Easy Pass card to refill. 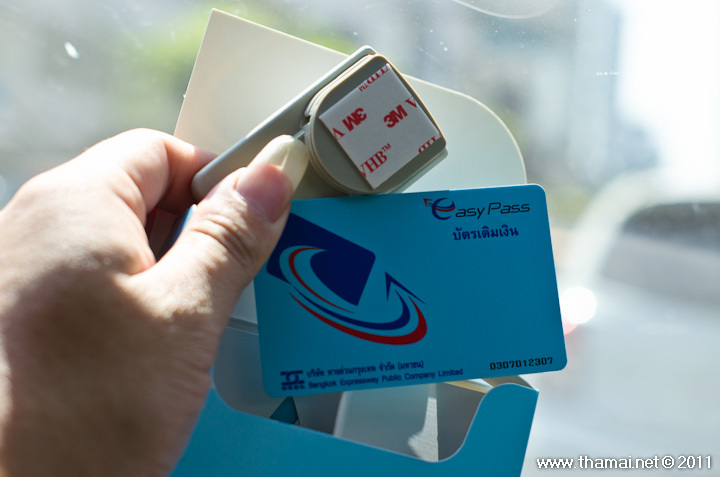 This entry was posted in Bangkok, Photos, Shopping and tagged Easy Pass, Sukhumvit Soi, Thai Version, Vehicle Easy Pass. Bookmark the permalink.